Mersing Jetty is mainly served by the public ferry operator called Bluewater Express and some other private speed boat operators who are available for charter transfer. The public ferry to Tioman Island is sailing on an irregular schedule in which the schedule is released 1-2 weeks before the forthcoming month. Travellers may only book the ferry tickets upon the schedule made available by the ferry company. Also to take note that the ferry schedule is subject to last minute changes, so it is always wise to reconfirm with the ferry company or your travel agent 1-2 days before travel. 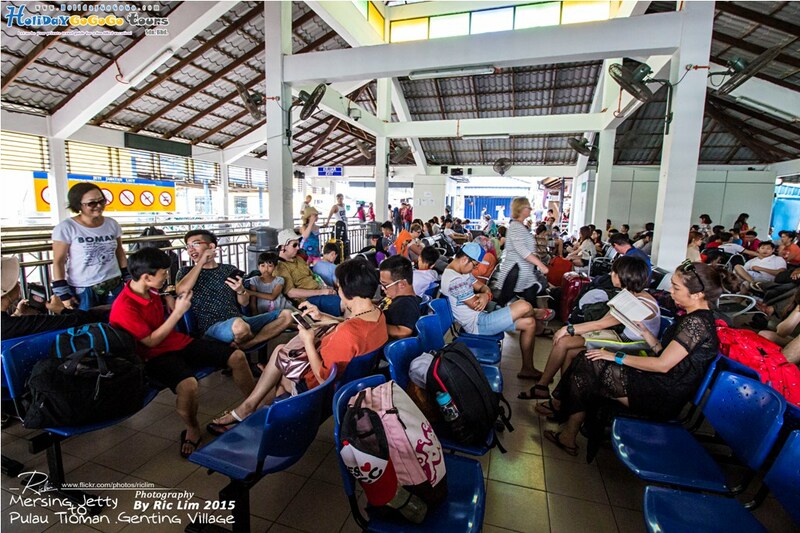 Click here to check the Mersing Jetty to Tioman Island Ferry Schedule. The travel time from Mersing Jetty to Tioman Island is approximately 1.5 hour – 2 hours depending on which village that you will be alighting. Estimated travel time from Kuala Lumpur to Mersing Jetty is 4 hours. Estimated travel time from Singapore (ICQ) to Mersing Jetty is 3.5 hours. Estimated travel time from Johor Bahru to Mersing Jetty is 2.5 hours. Mersing bus terminal is located within Mersing town, about 1km from Mersing Jetty. 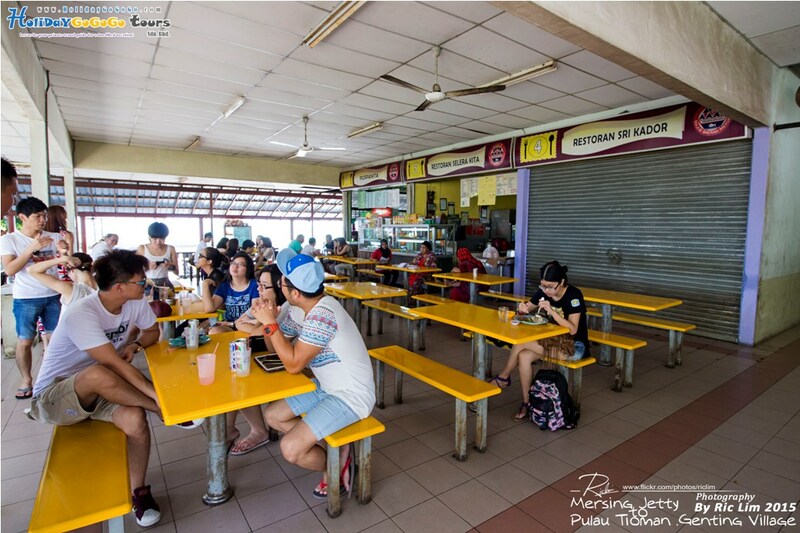 From the bus terminal, travelers can opt for a walk (15 minutes walk) or hire a taxi (5 minutes drive, about RM8 per trip) to Mersing Jetty. 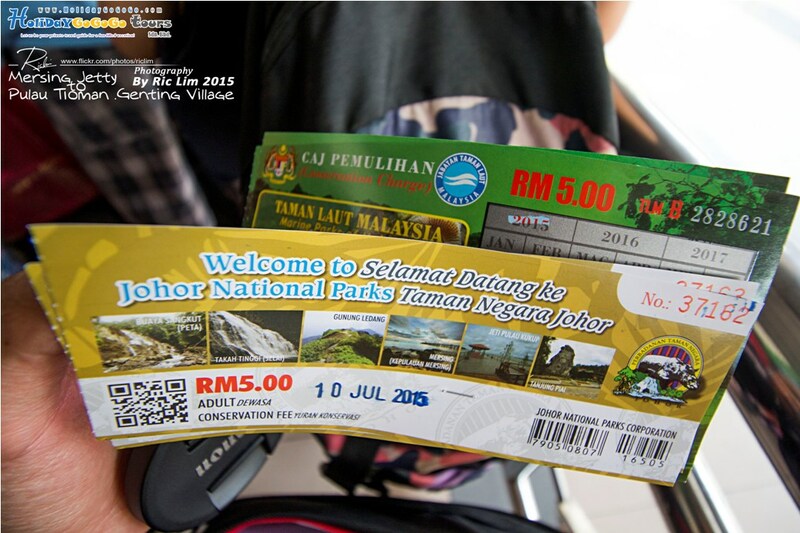 Johor National Park Corporation has started to collect conservation fees from travellers using Mersing and Tanjung Leman Jetty effective from 1st September 2013. The ferry services in Mersing Jetty operate throughout the year. However, transfer schedule may be stopped/changes during the monsoon season depends on weather condition. There is a food court near to Mersing Jetty and mostly sells local foods. A good place to fill your stomach before heading to the paradise! Johor National Park conservation fee, really shows Malaysia Boleh. Shouldn’t that if were to be collected then it should be Pahang National Park Corporation instead? If it does exist. 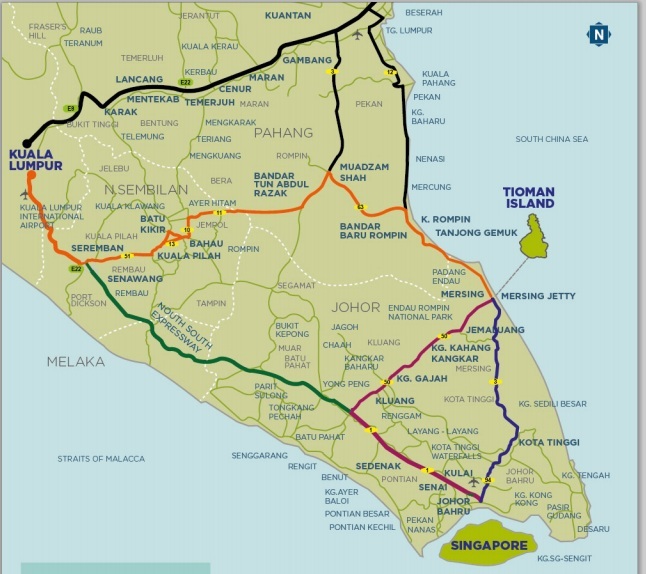 Unless one intended to disembark at Pulau Babi / Pulau Rawa / Pulau Tinggi then I think it might be applicable if any of these island falls under National Park. We had our holiday in tioman during the school holiday in sept 2015, stayed in berjaya resort and booked our ferry ticket via blue water ferry counter as suggested by govisittioman.com, although there is no written confirmation from the ferry counter but we don’t see any problem during ticket collection. However, it is better to check the ferry schedule 1 day before travel as our departure was delayed for 1 hr, we could have reach later later than waiting at the jetty if we checked earlier.